President Trump won the election so now he must be destroyed. The Democrats have made it clear their only goal is to harass and obstruct President Trump. Last month, House Democrats launched an investigation into President Trump’s tax returns. Democrats hope that if they are able to scour through the billionaire’s tax returns they will likely find something they can pin on him. 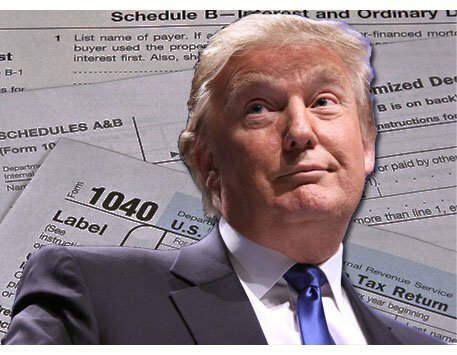 Currently there is no law requiring a president or presidential candidate release their tax returns, but the Democrats don’t care about laws — they want to harass President Trump. A hearing of a Ways and Means oversight subcommittee last month was meant to begin building a legal case that Trump withholding his tax returns was potentially hiding violations of federal tax laws therefore compromising US interests. The Democrats argued in the hearing that they have legal authority to invoke an obscure provision in the federal code that allows the Chairman of the committee to access private tax information. House Speaker Pelosi previously said Americans “overwhelmingly” want to see President Trump’s tax returns. Nancy Pelosi’s spokeswoman said on Friday that the Democrats will take all the necessary steps, including litigation to obtain President Trump’s tax returns. “Every day the American people and Congress learn more about President Trump’s improprieties, from conflicts of interest to influence peddling, potential tax evasion and violations of the Constitution — all roads leading back to President Trump’s finances,” Ashley Etienne, spokeswoman for House Speaker Nancy Pelosi told NBC. Nancy Pelosi, who is one of the wealthiest members of Congress, refuses to release her tax returns. House Speaker Nancy Pelosi “will gladly release her tax returns if and when she runs for president,” her Chief of Staff Drew Hammill said last week. Pelosi is not running for US President therefore she will not be releasing her tax returns — why not? How did Pelosi become worth tens of millions of dollars? We still have not seen Barack Obama’s records — perhaps President Trump should unseal all of Obama’s records so the American people can know the truth.